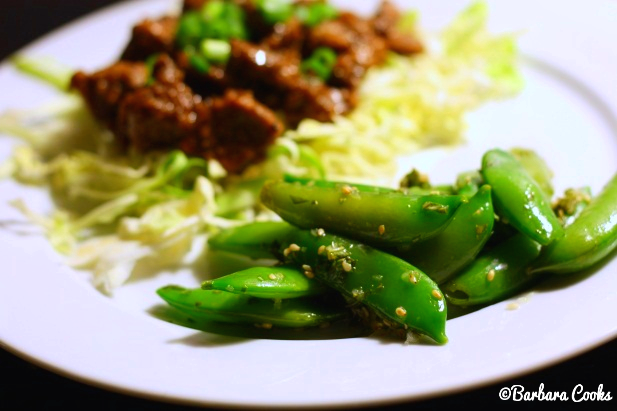 If I had to pick a favorite vegetable, one that I could eat every day for a month, it would be sugar snap peas. I really could eat them every day and that is saying a LOT for me! So sweet and crisp, they are the Rolls Royce of green vegetables. I love these delectable green pods so much that I decided to attempt to grow them. Now I have a love hate relationship with my garden. Some things never came up out of the ground, others were attacked by what I believe to be rabbits and still other items grew so big and out of control it was as if they were trying to make up for the failures. Do I have any complaints? Naahh. This is a learning process… Plus I scored because my peas decided to make up for the beets and arugula! 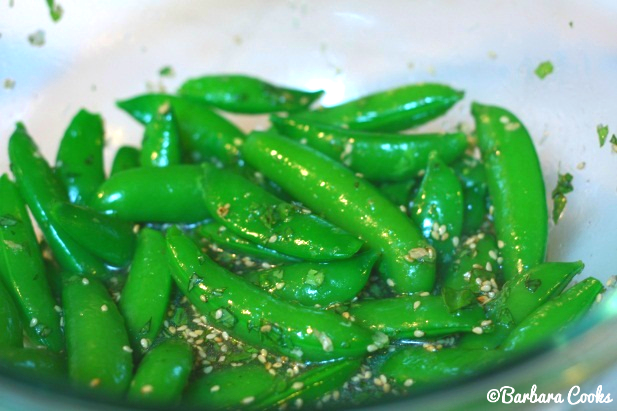 My favorite way to eat sugar snap peas is by themselves, raw, no dip, crunch by juicy crunch. When I have them with a meal, however, I do like to dress them up a bit. I usually steam or blanch them quickly and then toss them in a light sauce. 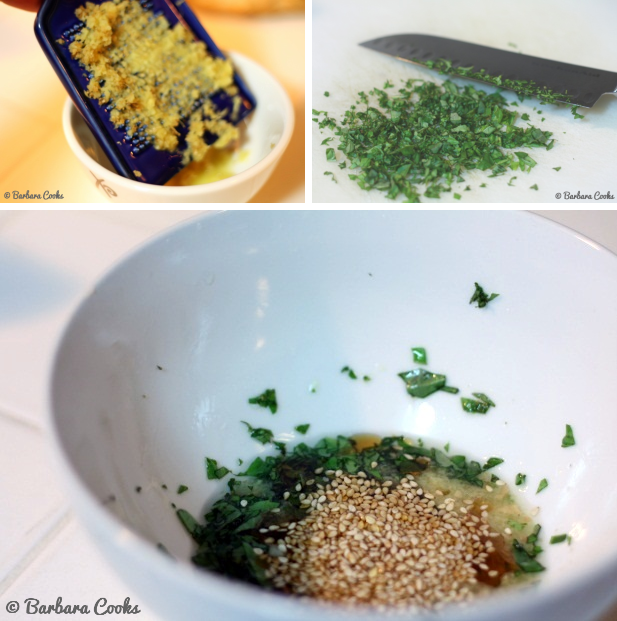 This version is distinctively Asian with hints of ginger, garlic and sesame. Next time, I think I’ll turn this into a super fast stir fry with other delicious veggies added in. Place all ingredients except the peas in a small bowl and whisk together. Sugar snap peas have a tough string that runs along the straight side of the pea and should be removed. Pinch the stem end off each pea and pull. The string should unzip with the stem. Rinse the peas, place them in a medium pot and cover with water. Place the pot over high heat and cover with a lid. Cook until water starts to steam and peas turn bright green, about 5 minutes. Remove from heat, drain and toss with the dressing. Serve immediately. You can also serve these cold by shocking them in ice water after cooking and then tossing with the dressing. I must try this and hope I get sugar snap peas instead of fennel in my CSA box this week. Amazing pictures!! Thanks for the kudos! 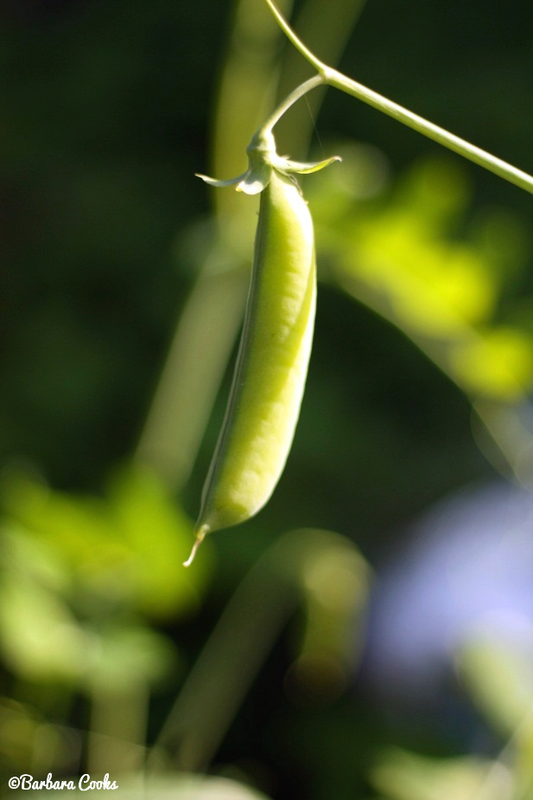 I have been really lucky with my sugar snap peas in the garden this year… Fingers & toes crossed! Those peas sound like something I could eat often, too. What a great dressing! Kristen, the dressing was really good! I even made a similar version that I sautéed with the beef (in the back of my photo). I love Asian food. Those look delicious. I reallllly need to start eating this more and more! Thanks for the inspiration! Thanks! Glad I can inspire you, Kristina! 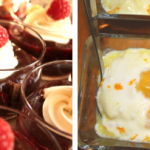 Thanks for the friend add, it helped me find your blog and your healthy recipes. My family loves sugar snap peas. Thanks, Sandy. I appreciate the compliment! I’ve been working hard lately on improving my photos! Nish, thanks so much for the Liebster! What an honor. I’ll be sure to spread the love!